Ben Ainslie, the most decorated Olympic sailor of all time who is leading the British challenge for the America’s Cup, holds a narrow lead after the first day of racing at the Louis Vuitton America’s Cup World Series in Portsmouth. 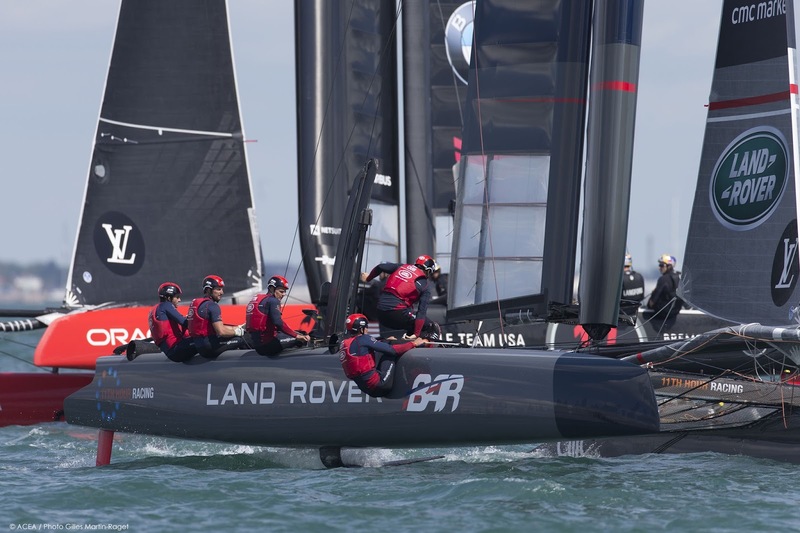 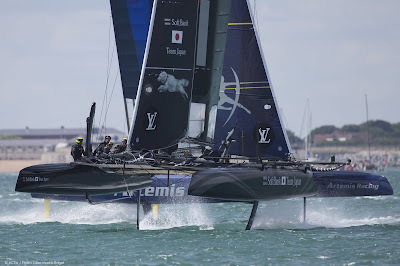 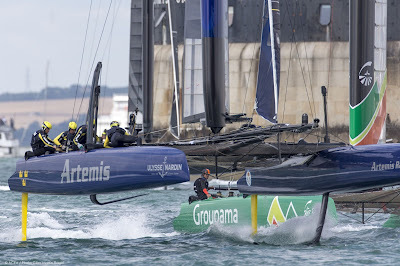 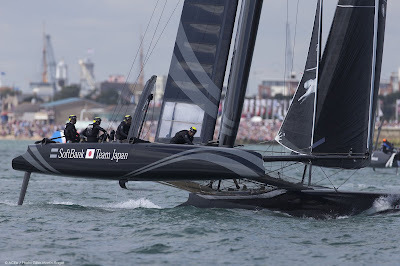 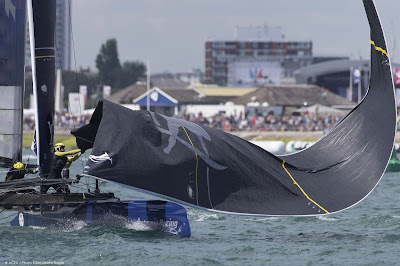 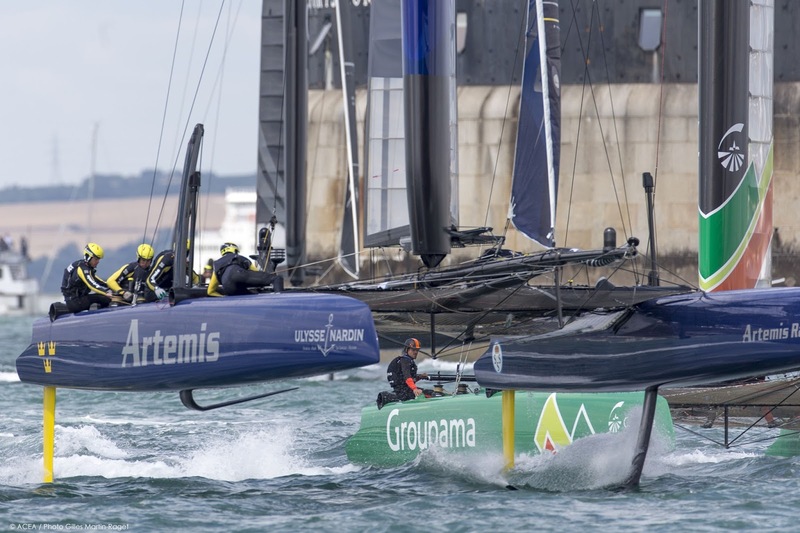 Ainslie led his team to a win and a second place finish in the two races held on Saturday afternoon on the waters off Portsmouth. 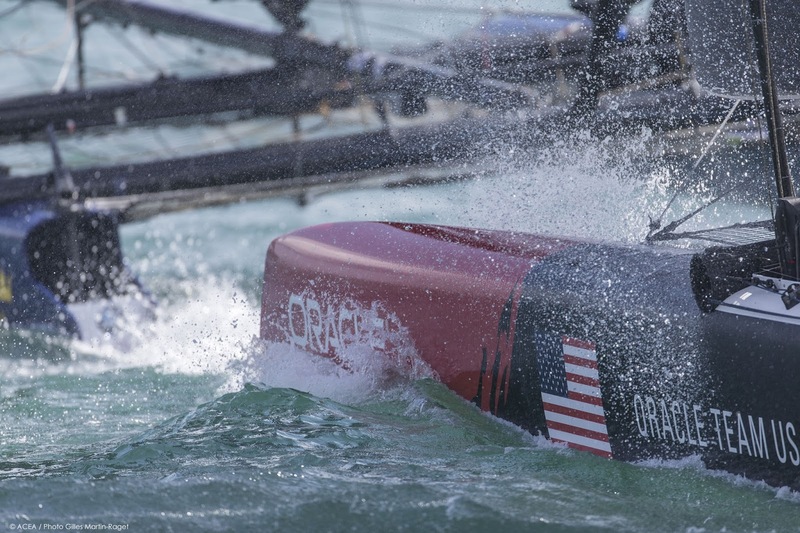 Nearly 50,000 fans were cheering him on from the venue ashore (with many more stacked on the shoreline outside the ticketed venue). 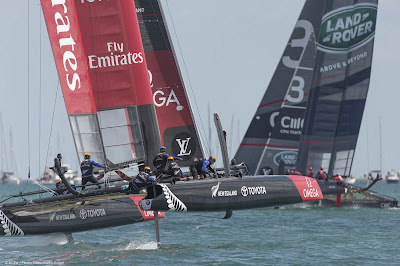 Over 15,000 fans on 2,000 boats were ringing the race course area. 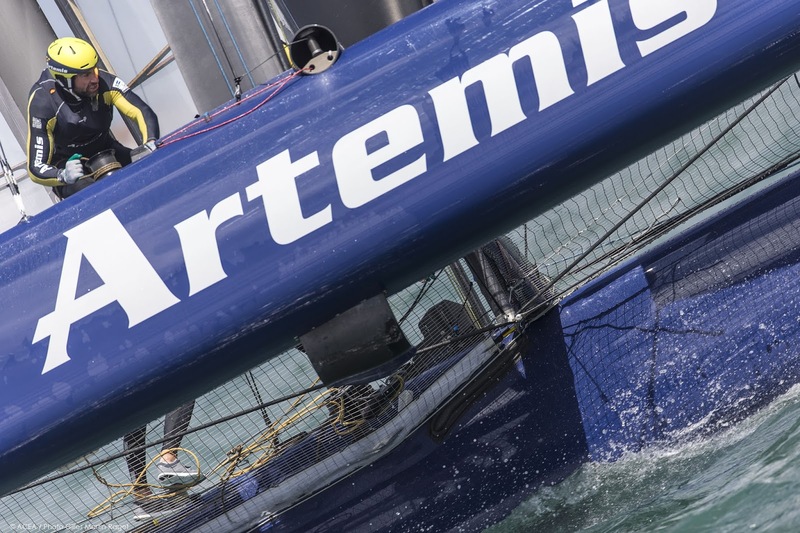 “It was a great day for us to be able to put together a good start and a run in both races and be in the lead at the bottom mark in both races. 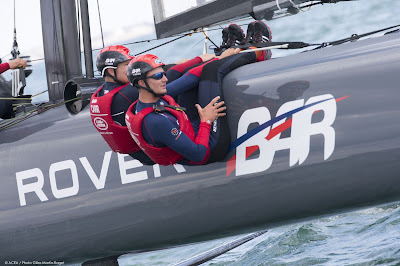 We’re pretty green in these foiling boats so we’re happy to come out of the day in the shape we’re in,” Burling said. 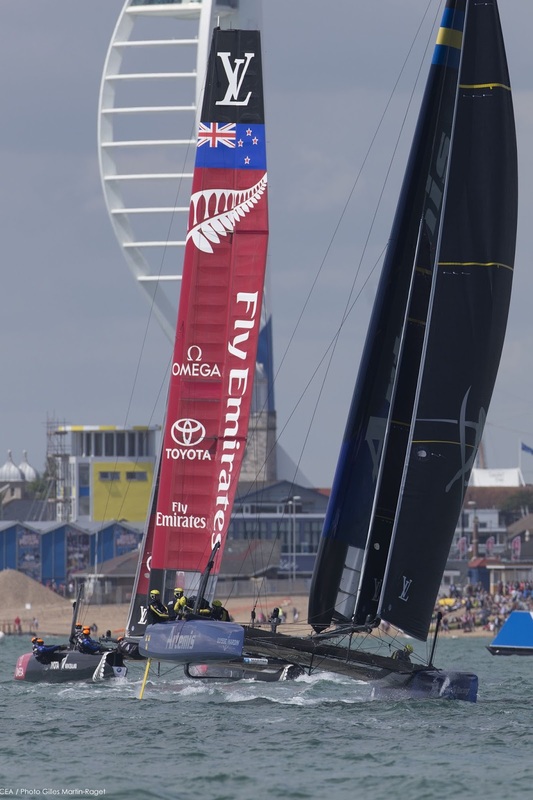 Racing continues on Sunday, with double points on offer for the two races. 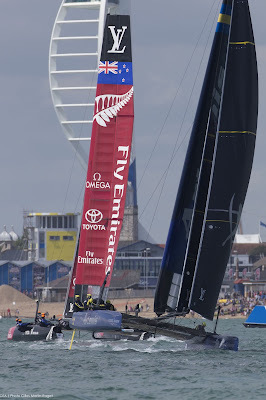 First start is 1340 local time in Portsmouth.